Hey guys. My name is Paola Ayala and I’m a 25 year old Colombian lawyer. I’ve been learning from an amazing audience of women all around the world through platforms such as Youtube, Facebook, Instagram and Twitter for the last 6 years of my life. I’m what you call an influencer, or incorrectamente in countries like my own: “la youtuber”. I like to go for content creator. Because that’s what I do. I create digital content for my audience. They’re not “fans” like the ones singers and actors have. They might not even be “followers”, “subscribers” or even “likes” as the platforms mentioned before have given us the idea of what they’re supposed to be. My audience is regular people, like you and me. And that’s the reason why they’re awesome. The first time I attended Hispanicize was three years ago. It was the first big social media event I ever attended. I went as an influencer, with my followers, my likes and my subscribers. I was taking pictures for Instagram and recording videos about the experience for my channels. I was taking notes at the different panels and learning from other hispanics that had been working in this digital world for a long time and had a lot to teach us. I thought I was going to meet and make friends with more “youtubers” and even though I did meet a lot of them, I became friends with the publisher of a digital magazine. 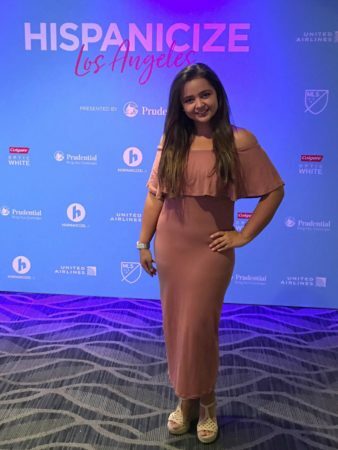 She happened to be Colombian, had a great attitude, didn’t care if she was talking to the waitress at the social media gathering or the best publicist in town, she treated them equally. That’s something I’d do and that’s exactly what I like in people, so we connected. Three years later I not only love and respect her. But she adopted me as her little sister. We were hanging in her house in LA and out of nowhere she goes off to a vacation wedding in Guatemala and trusts me with her apartment, her cars, her plants, her dog son and her magazine. She came up with the idea of sending me to Hispanicize as press. To cover the event for her magazine. I said “sure, I got you boo” but I had to do it the only way I knew how…as an influencer. So together we came up with this take over. It happened way to fast. The dog and the plants survived. Cars and apartment still ok. But I was able to see this event from a whole new perspective and I will be forever grateful. I was able to hang out with my influencer friends, met another badass chick that happened to be presenting the whole event and did an AMAZING job at it. 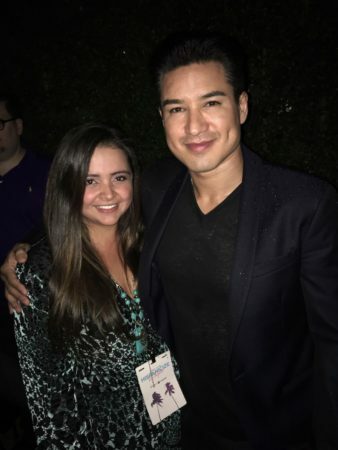 And even had the chance to interview some awesome latino hollywood stars such as Mario Lopez and Ana Maria Polo. My experience started with a speed dating with brands, which felt awesome. The rush of going from one table to another and being able to put a face to “that person” you’re usually emailing whenever you’re working with a brand. That face to face experience is not something you can do as an influencer working with different brands, they’re usually in another city, state or even country. So it was great to be able to connect. With that person, behind the brand. Then we had the chance to #pruparate for the future with Prudential, one of the event sponsors, and Roberto Torok gave us a great perspective about being hispanics, with that latino financial mentality in a country like the US. We’re used to thinking about having our money debajo del colchón, that’s something that every latino has heard before and in a country like the one we’re at we need to expand our horizon in terms of advancing and improving our financial practices. As influencers we need to be able to influence our audience about those type of practices in order to help improve the lives of our Hispanic community. Things and topics like these are the ones we really need to be learning about. 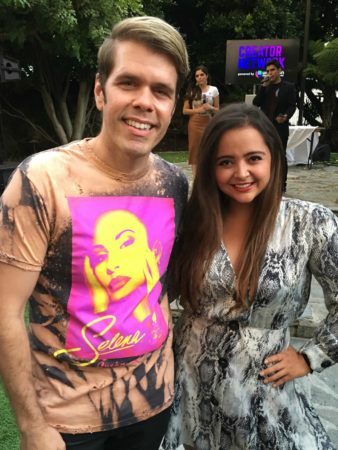 I loved the chance we had at the event to see and listen to some cute and sweet latinos such as Mario Lopez and Perez Hilton. I loved to see their approach to being a latino father with kids being raised in the US. The way in which even speaking a foreign language on their daily basis doesn’t get in the way of teaching them about our culture, our family values and our heritage. This made an impact on every parent attending the event and I was able to see it on their faces. Now that I think about it, it even made an impact on those who were attending and felt that maybe…there was something their parents left behind while raising them. One of my friends talked to me about how much she wished she spoke Spanish, to be able to teach her kids and not let them grow up without the opportunity of being bilingual since they come from hispanic roots. This is something la doctora Ana Maria Polo made a huge emphasis on when she refused to speak in english during her panel. She stared off by saying she was not going to hablar en ingles en un cuarto lleno de latinos. And the reaction from all of us was awesome. Gritamos y aplaudimos. We love Spanish. 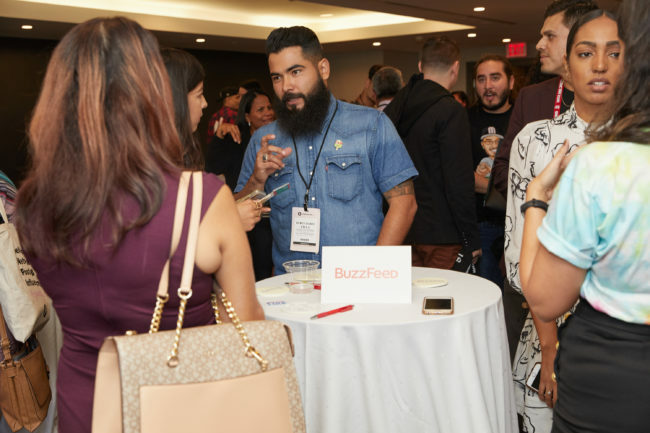 To wrap it up let’s talk about my favorite part of Hispanicize: the mingle and wingle. The meeting people, the making friends and connecting. Whether you’re thinking about attending as an influencer, a sponsor or press…know the people around you might be the best of the best at what they do, or not. But you will have an opportunity to learn from every and each of them, if you want to. 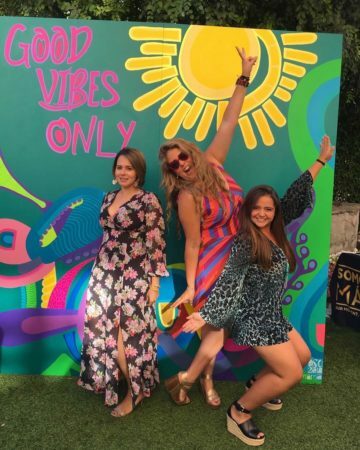 If you’re wise enough to connect to someone at Hispanicize, chances are that connection is going to stay in your life forever. If you’re hispanic and you’re part of this world…give yourself the chance to attend this event. And if you don’t like it 100% the first time. Go again. Because this time I didn’t just like it…I loved it. It felt real, it felt amazing. I was telling this to Manny (the founder) and Angela (his wife) at the Facebook dinner. 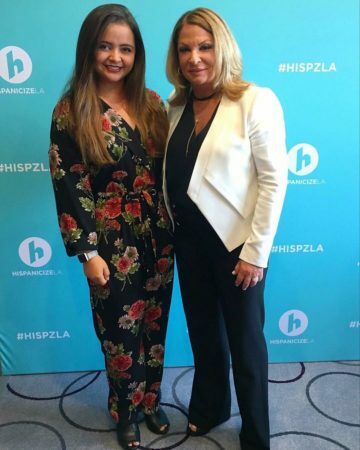 Hispanicize LA 2018 made me fall in love with it. I honestly hope I will be able to attend again, and again, and again. As Lola, as the Colombian lawyer, as part of the Gypset Magazine tribe, as whatever I am doing with my life next time around. I want to attend. Meet some more amazing latinos and latinas. Have fun, learn about el circulo social that I decided to get in. And just keep loving what I do and have the chance to show it all to my audience. Because they’re the reason I do what I do. Hispanicize included.